How do I know when everything is dry? Our testing procedures during water damage restoration have been perfected over time to allow us to effectively determine when everything is dry. This is due to the fact the carpeting may feel dry to the touch, however, the subfloors may still be wet underneath. How long will the drying process take? The answer to this question ultimately relies on a variety of factors, including: the types of building materials, the spread of the damage, current weather conditions, the location of the affected materials, duration and amount of water, and the duration of other emergency services. But while the drying equipment, temperature, and moisture levels will be frequently monitored, it is difficult to tell when exactly the drying process will be completed. As the flooring may feel dry to the touch, this can be a false indicator as the flooring underneath may still be wet. In most cases, the drying process can take three to five days; however, severe cases have lasted several weeks. 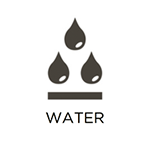 You can also visit our water restoration checklist to get a better idea of the services that may be necessary in the restoration process of your property. Should I increase the temperature in my house to enhance the drying process? Your ServiceMaster of Salem technician will set the temperature in order to create the proper environment for drying. We just ask that the HVAC system and thermostat remain on and are not adjusted in the process. My hard surface floors are cracked and wet. Do they need to be replaced? Your technician will inform you based upon his/her inspection of the damaged floors if they can be restored or require replacement. By using our advanced drying equipment and products, we will create the perfect conditions that will enhance the drying process that will allow the floors to be returned to their original condition. However, for hardwood floors and their urethane finish, the process can last up to three weeks or longer, depending on the severity of the damage. If there was an insurance claim involved, your insurance agent can help you decide if your floors should be replaced or restored. 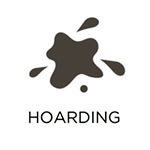 Do I need to move out of my home during the drying process? If you filed an insurance claim, your insurance agent should be able to aid you in deciding whether or not you should leave your property. While our equipment is child-friendly, we highly recommend that they not play around it in order to not disturb the drying process. Dehumidifiers and other drying equipment may be noisy and can also make the property drafty for a few days. However, it is essential that they remain on; you may want to consider temporarily relocating. Just keep in mind the following: forwarding mail services, suspending utility bills, suspending newspaper services, etc. What will happen to my wet contents and wet furniture? All damaged furniture that can be restored will be dried accordingly. If they are unsalvageable, you will want to talk to your insurance agent in finding a replacement. A customer release form will also be created, documenting the damaged furniture and requiring your signature during the process. Odors are a natural occurrence during the drying process. As the humidity and temperature increase, strange smells will develop within the building materials or other affected areas of the home. 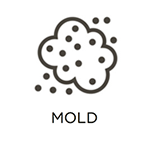 While these smells are not to be confused with mold, we can use deodorizers to have these effectively removed. However, at the end of the drying process, the odors should dissipate on their own once the materials are completely dry. Will I have to remove my content during the drying process? Not necessarily. However, your technician will notify you in advance if this is necessary. How will my wet ceilings be restored? All moisture contained within the ceilings and walls will be measured by your technician to determine the extent of the damage. Keep in mind that it may be necessary to remove them temporarily in order to have them restored efficiently. For example, any damaged, wet insulation may need to be removed to increase air circulation. Should I open the windows to speed up the drying process? This will ultimately depend on outside weather conditions. Your technician will decide if this will aid in the drying process. Am I allowed to walk on the wet floor during the drying process? ServiceMaster of Salem highly suggests that foot traffic on the damaged flooring is kept to a minimum. However, when necessary, always wear shoes for your own health and safety. 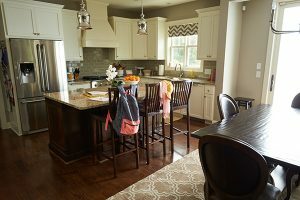 Why does the specialty flooring need to be replaced? Any flooring that is nonporous can also hold water, ultimately preventing it from drying effectively. In this situation, a replacement would be necessary. Will my carpet need to be restored or replacement? Who is in charge of the drying equipment? 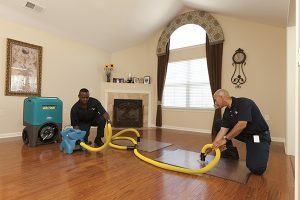 Your water damage cleanup specialist is in charge of setting up and monitoring the equipment to allow for maximum results in the least amount of time. 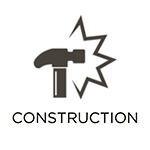 However, it is crucial that this equipment remains on and in place throughout the process. If the equipment does turn off by itself, be sure to notify ServiceMaster of Salem right away. How much does it cost to run the equipment? This will depend on the electricity rates of your provider. Usually, it is about $1 each day for each machine. But the exact rates will vary, depending on your local provider. What will happen if I have a sewage backup? 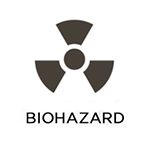 Any hard-surfaced materials will be disinfected and restored. Damaged belongings deemed unsalvageable will be disposed of properly. All porous materials including ceiling tiles, paneling, insulation, and particleboard should be discarded immediately during the first visit. Who is held accountable for the payment of the service? Ultimately, you as the property owner, are held accountable for the payment of all services. Upon the initial visit, your technician will provide you with a form to be signed that authorizes their work. If an insurance claim was filed, ServiceMaster of Salem will only bill you the deductible and send the rest of the invoice to your provider. If you have experienced a large loss, your mortgage company as well as their signature will be listed as a payee on the payment form. If you decide not to involve your insurance providers, the full payment will be billed to you at the time of service. How can I prevent future water damage? There are a number of steps you can take in order to save you from a headache in the future. 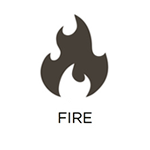 Please visit our page on how to prevent future fire and water damage. 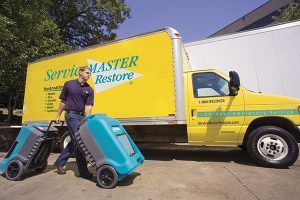 If you have experienced a large water loss in Salem, Corvallis, Albany, or Lincoln City, OR do not hesitate to call ServiceMaster of Salem at (503)877-1977 for 24/7 emergency water damage restoration services.